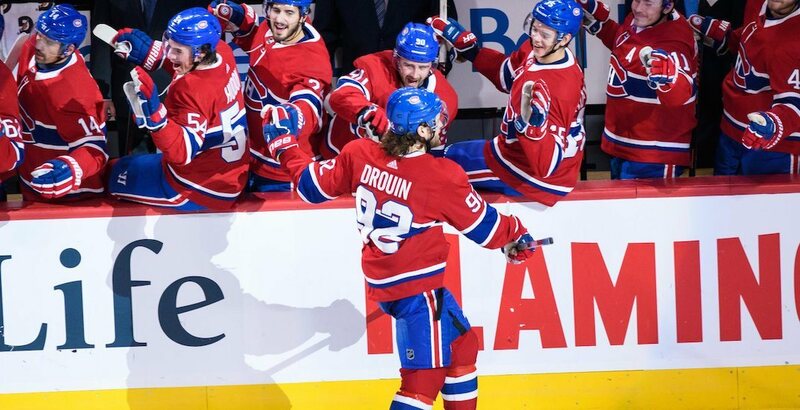 The numbers are in the Montreal Canadiens’ favour. 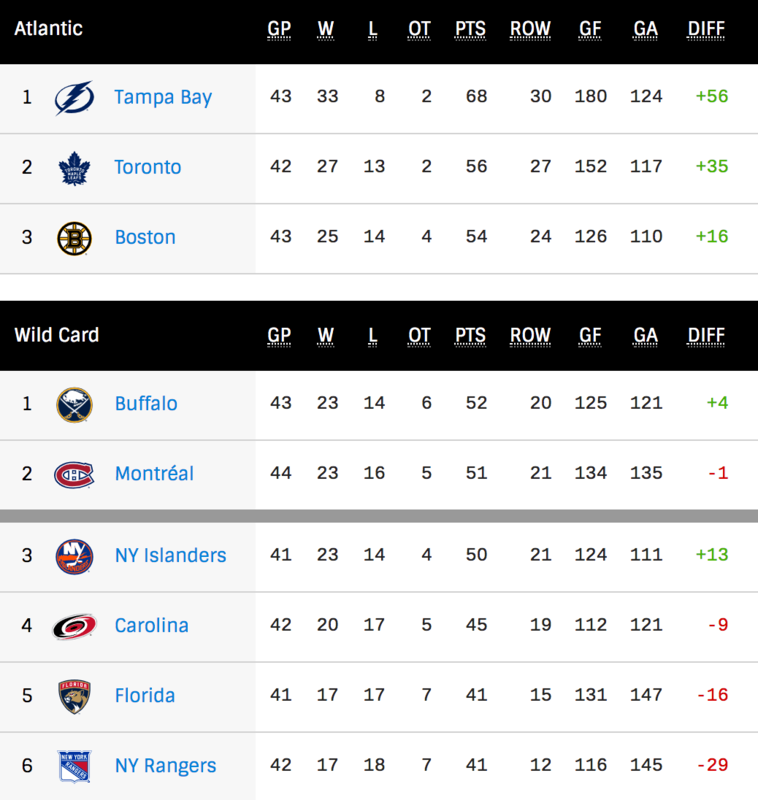 Following a 3-2 win against the Detroit Red Wings on Tuesday night, the Habs find themselves narrowly clinging to the final wild card spot in the Eastern Conference – just one point ahead of the New York Islanders – as the regular season passes the midway mark. As it stands, the Canadiens now hold a better than even chance (51.9%) of earning a berth in the 2019 Stanley Cup Playoffs, according to SportsClubStats.com. What a difference a few months make, as back in July, only four teams were given longer odds of winning the Stanley Cup. The analytics website calculates the likelihood a team makes the playoffs by using prior game scores and the strength of a team’s remaining schedule. Although the numbers are positive for the Canadiens, the stats are more in favour of other clubs in the race. The Sports Club Stats algorithm shows better odds of getting into playoffs for the Buffalo Sabres (70.1%), Columbus Blue Jackets (75.5%), and New York Islanders (89.6%). The other caveat is if the Canadiens manage to hold the eighth and final playoff spot, it could result in them facing a red-hot Nikita Kucherov and the Tampa Bay Lighting in the first round. The same website has the Lightning as the favourites to win the Cup this year. Tampa Bay also comfortably leads the league standings with 68 points. As much as advanced analytics can provide insight, the variable they can’t predict is health. Carey Price is still dealing with a nagging lower-body injury that has led him to sitting out the All-Star game and Shea Weber avoided a major scare as x-rays showed no fractures in his cheek after he took a puck to the face against the Minnesota Wild on Monday. If either Price or Weber miss extended time down the stretch, it could be detrimental to Montreal’s playoff hopes. As far as the rest of Canada goes, Sports Club Stats shows Winnipeg, Calgary, and Toronto all with over a 99% chance of earning a berth. On the other side of the coin, Vancouver sits at 20.9% and Edmonton at 17.8%. At 0%, the numbers tell Ottawa Senators fans to look ahead to next season.